Make time for rest and renewal: The Jewish approach demands that we carve out time for rest and reflection, truly separating ourselves from the never-ending drumbeat of life. Firstly, consider how you are feeling about your work. Ask yourself – are you overworked? Can you relax with friends or by yourself without work interruptions? For many of us work is less a healthy part of life, but instead slowly saps away at physical, emotional and spiritual energy. This is known as work burnout. The concept of Shabbat reminds us that rather than being masters over the creative process, we should also take time to enjoy what was created. This doesn’t just have to happen once a week, but can happen every day or on a regular basis. Do you feel tired and/or lack of energy – emotionally, mentally, or physically? Are you feeling less enthusiastic, with falling levels of internal motivation for your work? Do you experience short attention span on a regular basis? Is there an increase in interpersonal problems (more conflicts or withdrawal) at home/work ? Is your health decreasing – too much drinking, smoking, junk food, coffee, or not getting enough sleep or wholesome food? Are you preoccupied with work, even when not at work, finding it hard to switch off? If you answered ‘Yes’ to any of the above then you could be experiencing work burnout. So what can you do? We were inspired by the Sabbath Manifesto that encourages people to bring Shabbat into their lives. There are traditional rituals associated with Shabbat that set the tone for the day, including welcoming Shabbat with candles, enjoying a family meal, switching off from technology and prayer services. On the left is the Manifesto and on the right are our own ideas of how to make it relevant for the workplace (if you don’t like ours then make your own!). 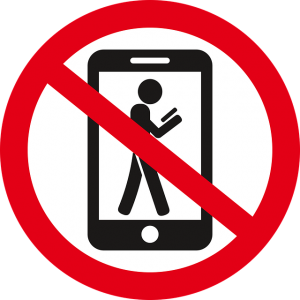 Avoid Technology Turn off phones and email during family/social/vacation time. Don’t send work emails to your mobile phone, and don’t check them before you go to bed. Create non-work connects Whether by joining your shul, a Jewish learning group, hobbies, fitness activities or volunteering in the community. Nurture your health Both physical and mental. Take a gym class, yoga, meditation, listening to music, reading a book, go for a walk. Book it into your schedule and stick to it! Get outside Have a coffee break outside, breathe fresh air, experiment with walking meetings. Avoid commerce Plan smart, and free up more time. Get groceries delivered. Don’t spend money you don’t have – tear up old credit cards. Light candles Do Shabbat! Take one day a week to unplug, unwind, and reconnect. Go to shul. Have meals with family and friends. Whatever Shabbat means to you – just do it! Drink wine Create meal and celebration time that is set apart from daily routines. Add special food and drink, with wine or otherwise, add family rituals or opportunities to make it special. And don’t check work emails! Eat bread And other healthy food. Plan meals a week ahead so you don’t rely on fast food. Have fresh fruit and vegetables at hand. Feel like a coffee – have a fruit smoothie instead. Find silence Pray or go to shul. Go for a walk, meditate, take a yoga class. Watch the Maccabeats: Sound of Silence to get you thinking (note: don’t listen – watch!). Give back Volunteer, join a committee at shul, visit an elderly neighbour, invite someone you normally wouldn’t for a Shabbat meal. Get inspired by Small things make a big difference. Discuss this list with your colleagues and come up with a Sabbath manifesto for your team/organisation. Study our Sefaria source sheet on ‘Time out – not burn out’ to trigger the conversation. For more information about the Jewish concept of Shabbat, and other Jewish concepts, Hillel International has a great educators curriculum. Some of our advice was based on the American Psychological Association Centre for Organisation Excellence, who have academically based research and resources about the causes and remedies for workplace burnout. The Mayo Clinic has more information about spotting the signs of work burnout. For a more text based approach JTS’s Matthew Berkovitz explains how Moses solved his potential work burnout.